Straddling the Divide between tech tee and jersey. 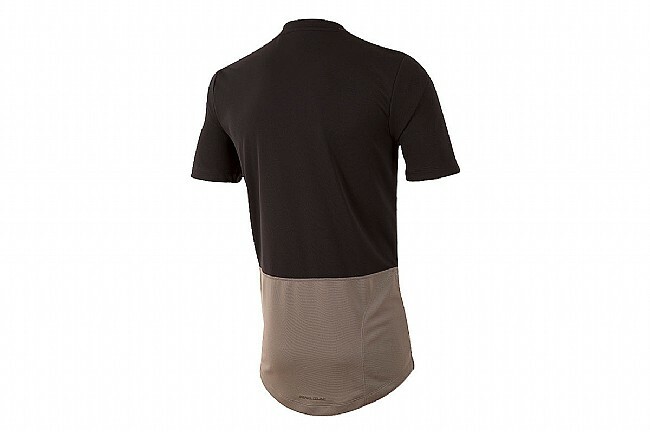 Do you want to shred a trail or hit up some gravel after work, but you don't want to wear a jersey? No problem, pick up the Divide from Pearl Izumi. Featuring a 100% polyester construction, the Transfer Dry fabric wicks moisture away from your skin and into the air to keep you cool and comfortable. A drop-tail design offers additional coverage while out on the trail, and the chest pocket and additional hidden side zip pocket allow you to stash whatever you need to get you through the ride.